Template Groups - Script Debugger - Late Night Software Ltd. 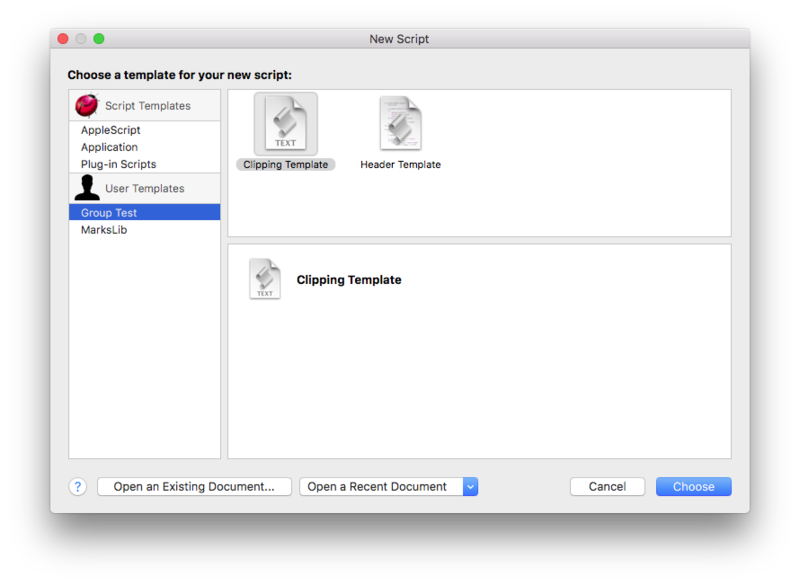 Script Debugger’s Save as Template command creates an individual template document that appears in the User Templates section of Script Debugger’s Template Chooser panel. You can have Script Debugger present your user templates in this way if you like. This document explains how to accomplish this. Only one level of grouping is supported. Script Debugger will remember your last-selected template within each group. 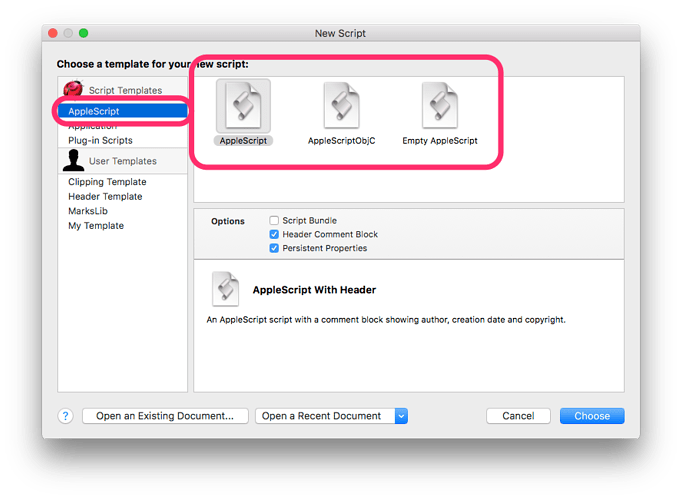 The Template Chooser panel must be closed and re-opened to reflect changes to the structure of the ~/Library/Application Support/Script Debugger 6/Templates/ folder. By default, the document icons Script Debugger assigns when saving your document template are presented in the Template Chooser. 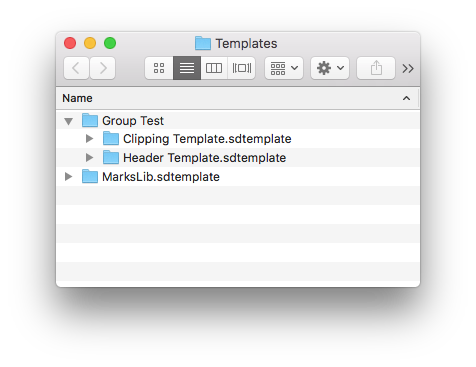 You can alter the icons presented for each template in your group by adding a TemplateIcon.icns file to an individual template directory (.sdtemplate extension). If present, this icon will appear in Script Debugger’s Template Chooser. Its a little difficult to create .icns files these days. You can use Apple’s Preview and some other image editing programs to create them. We will move to support more modern image formats in the future. Its a little difficult to create .icns files these days. You can use Apple’s Preview and some other image editing programs to create them. FYI, there are several apps in the App Store for converting images to .icns files. Many are very cheap or free.